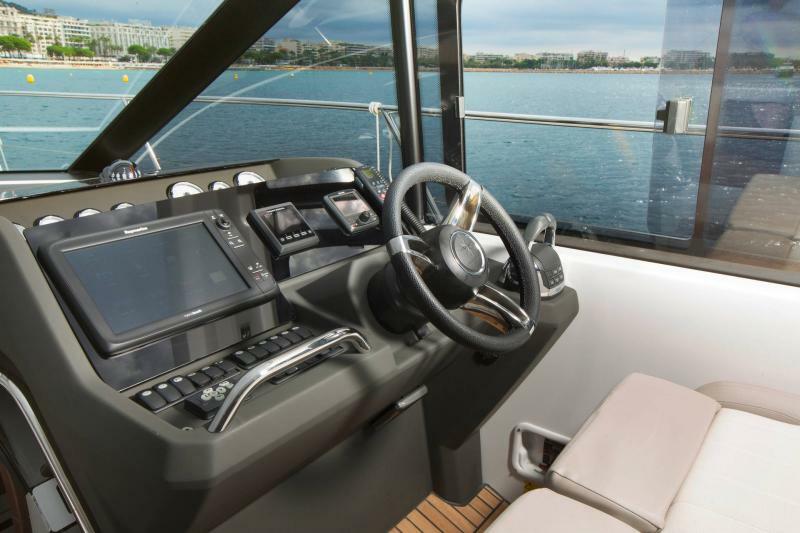 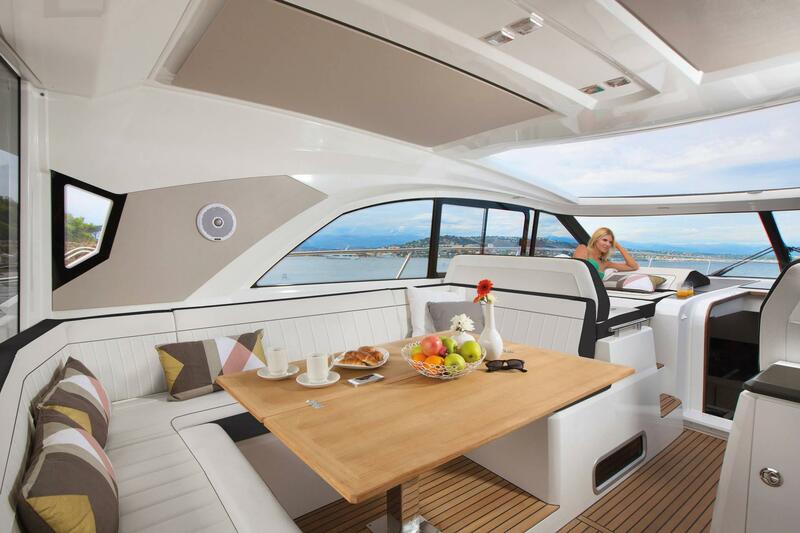 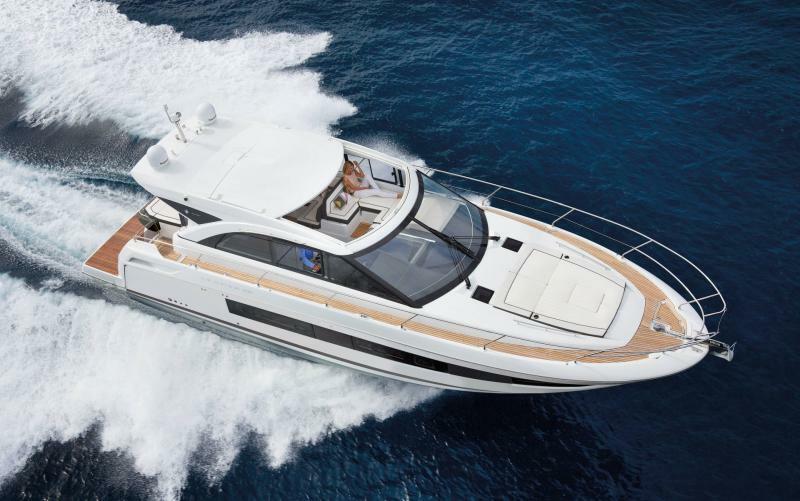 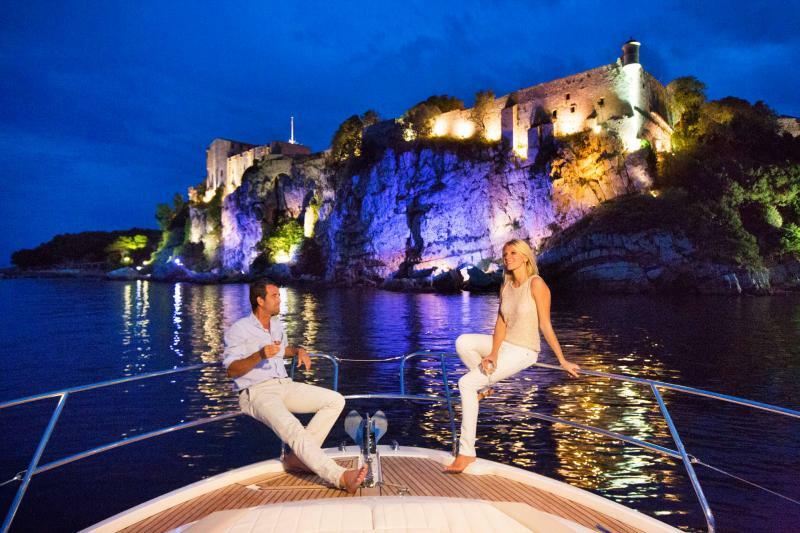 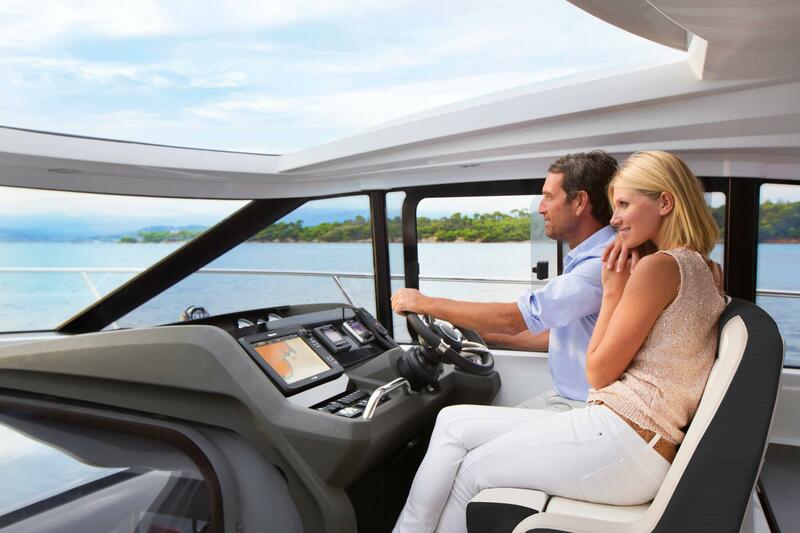 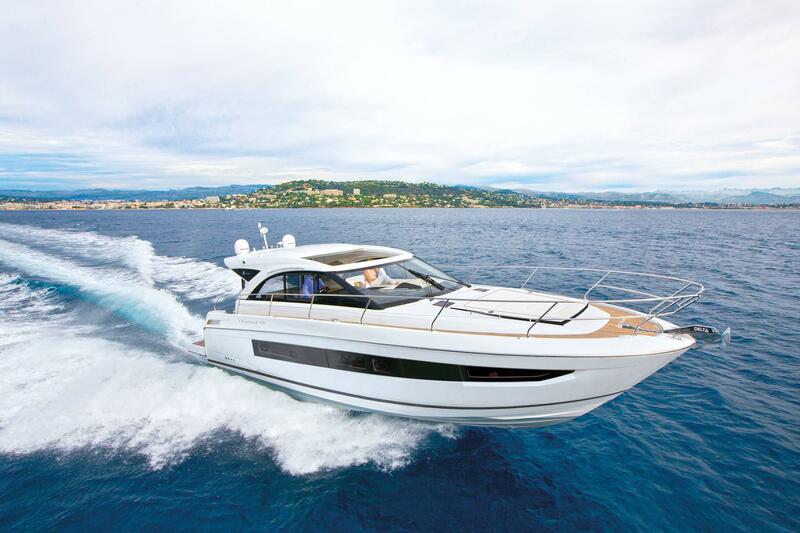 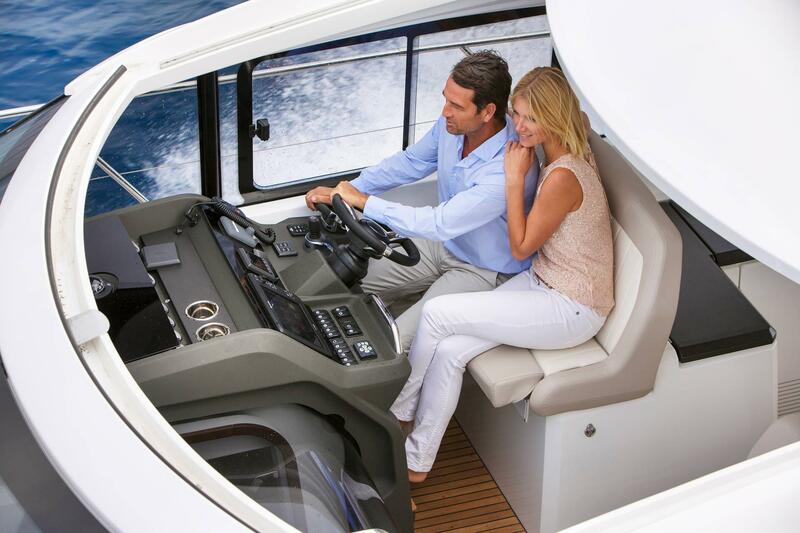 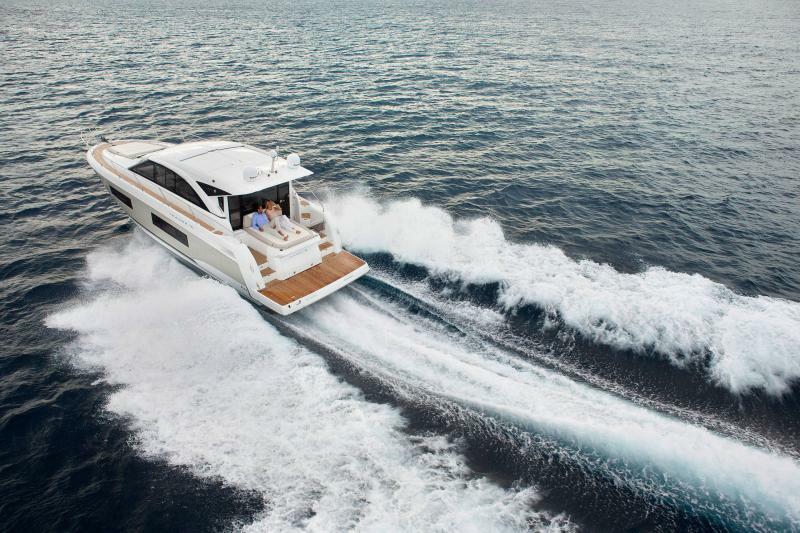 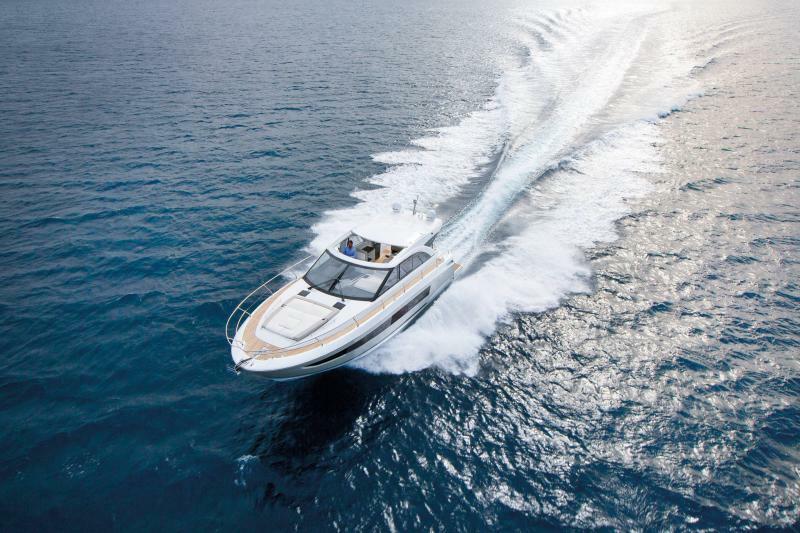 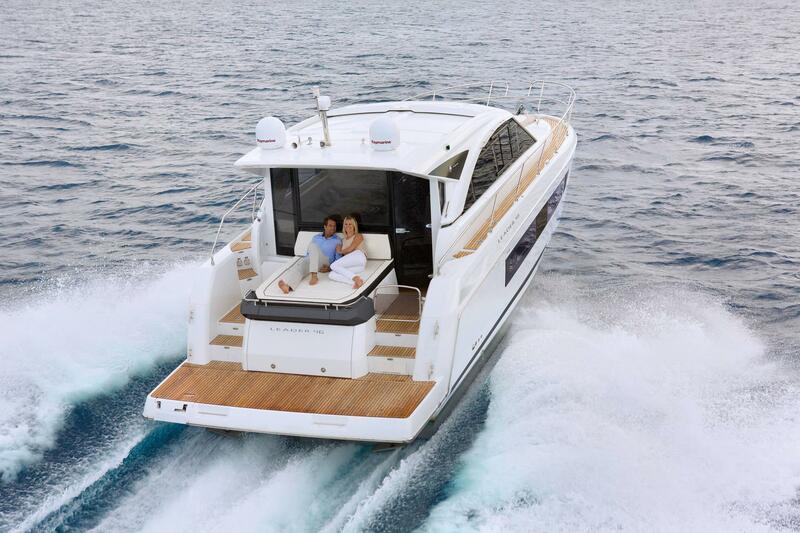 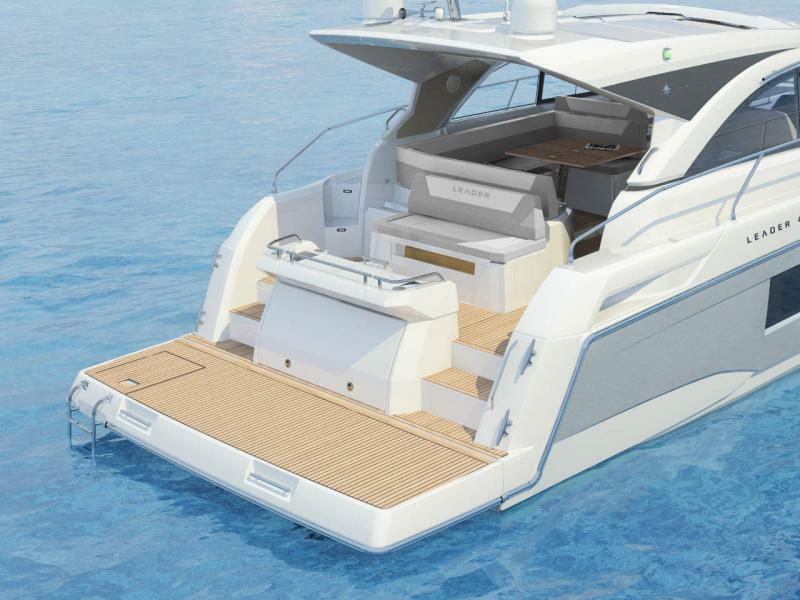 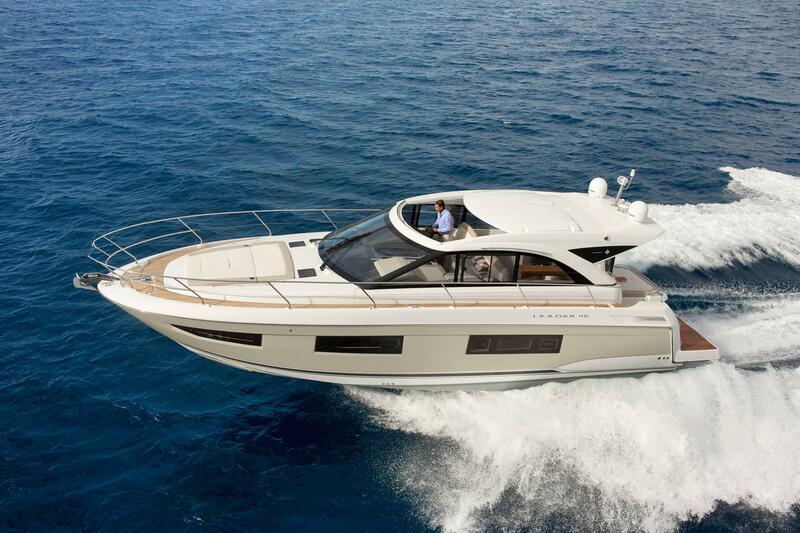 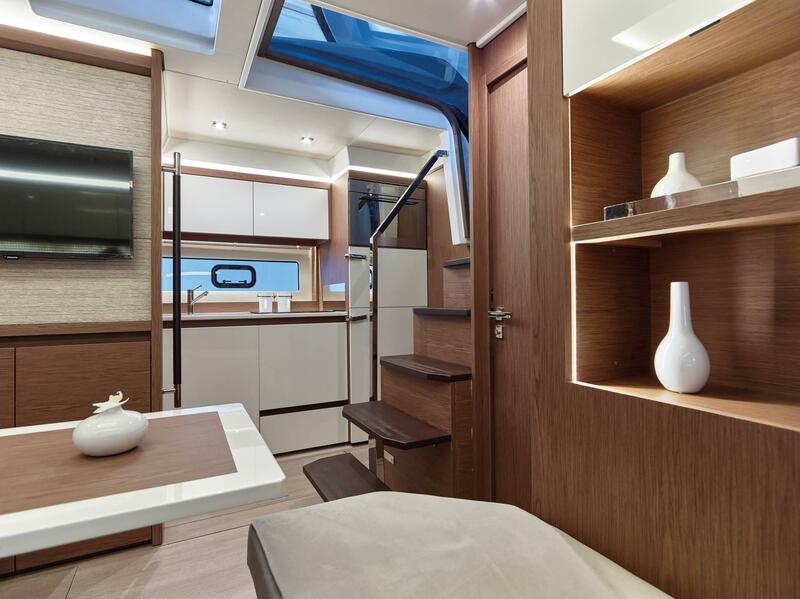 Enjoy thisspacious sport top, laid out entirely on one level, with its large U-shaped saloonto port side, amodular bench seat at the helm that converts into a shelteredsundeck, and a very attractive cockpit galley. 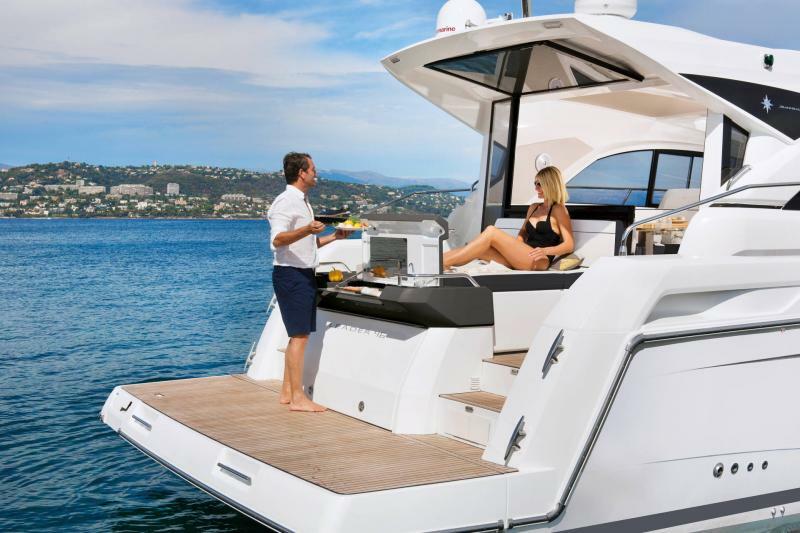 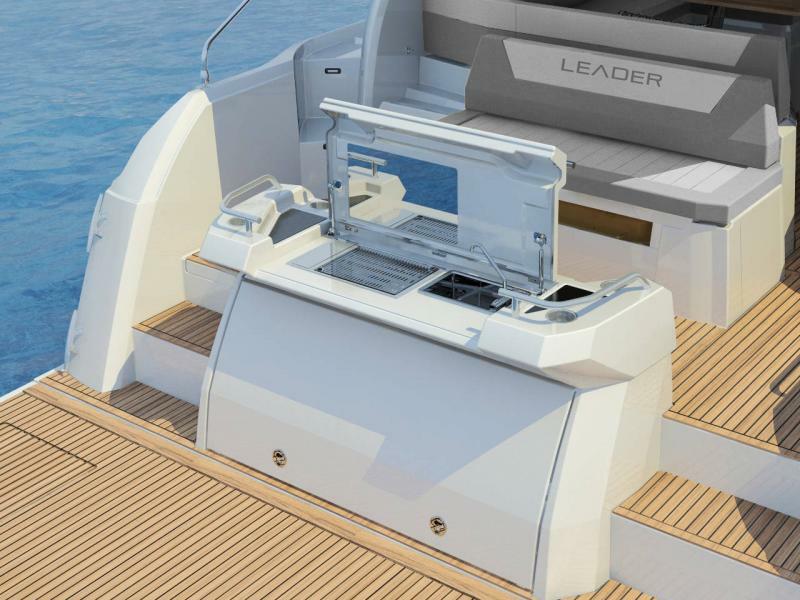 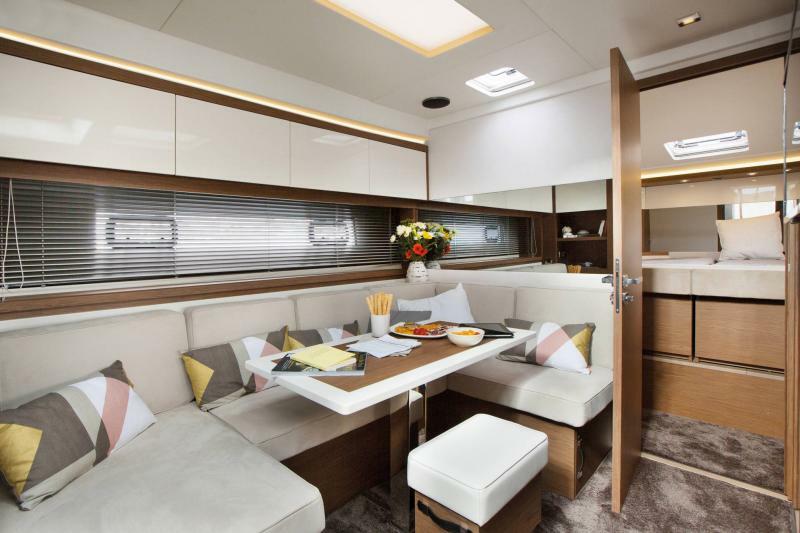 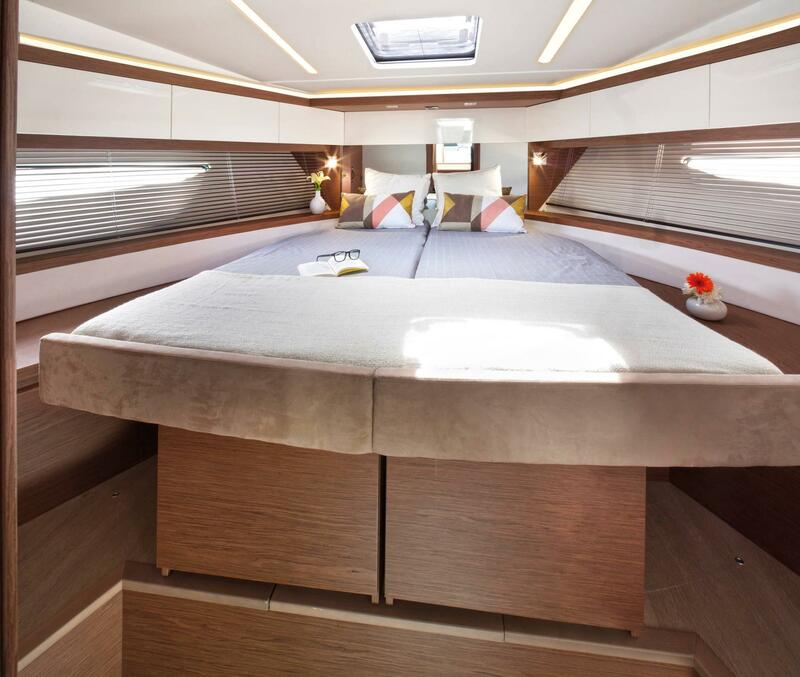 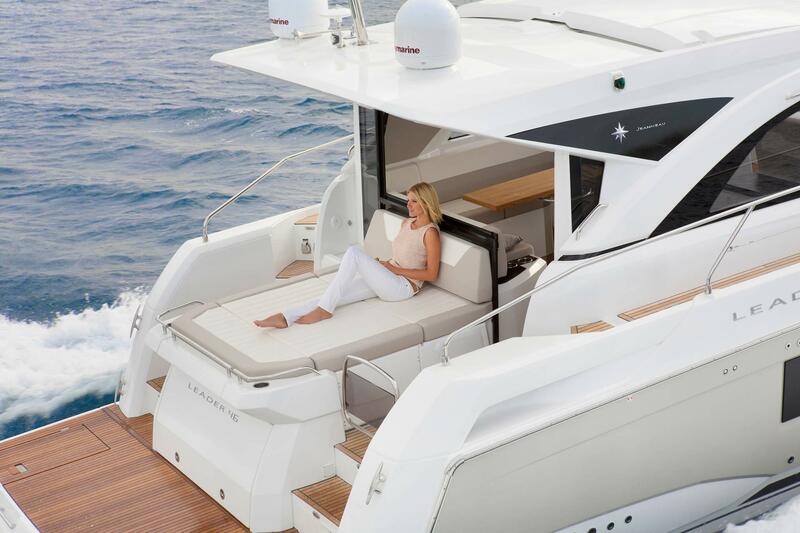 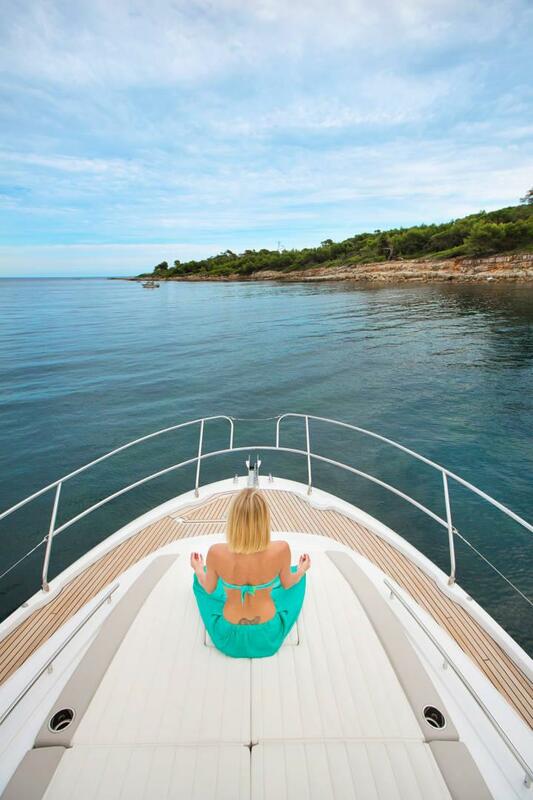 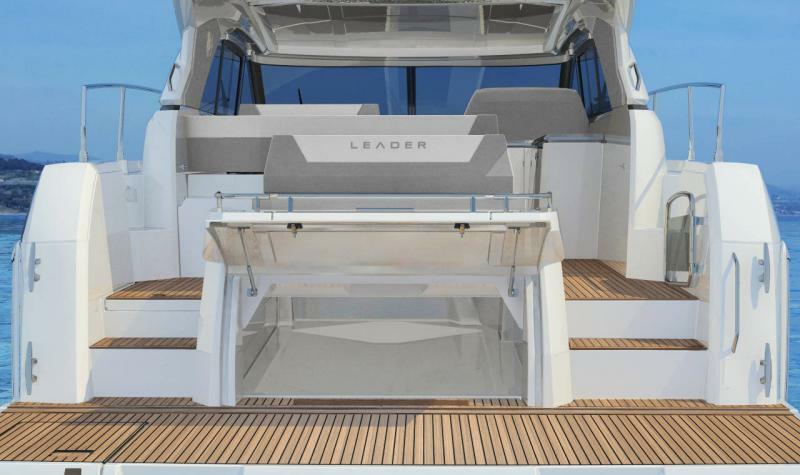 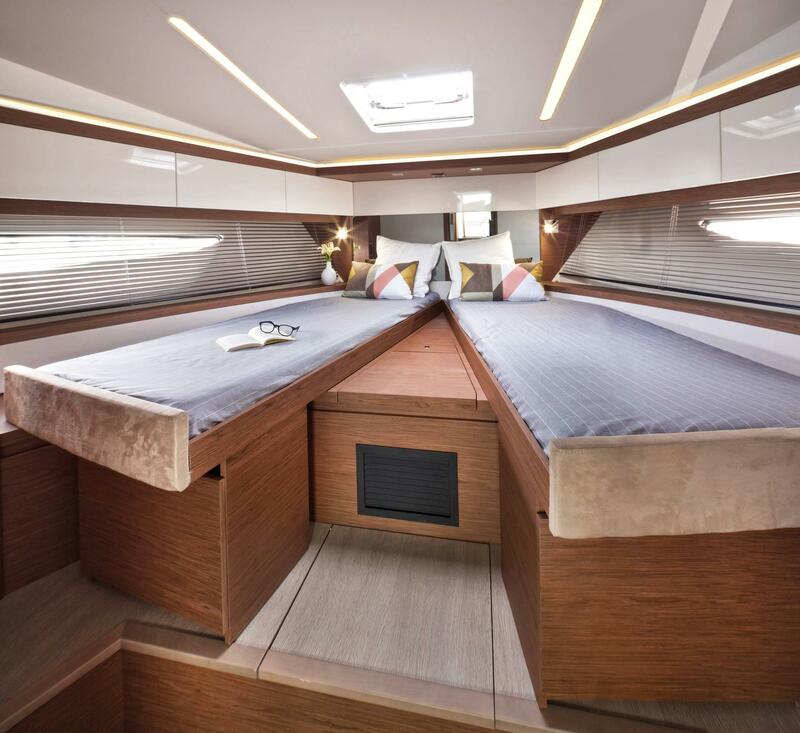 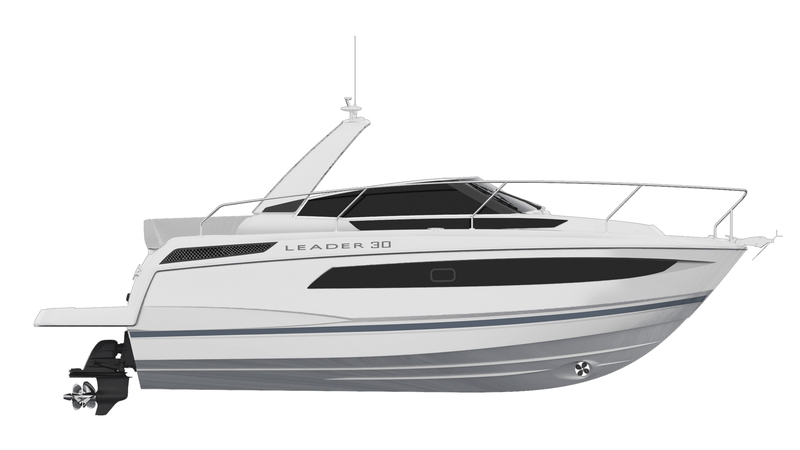 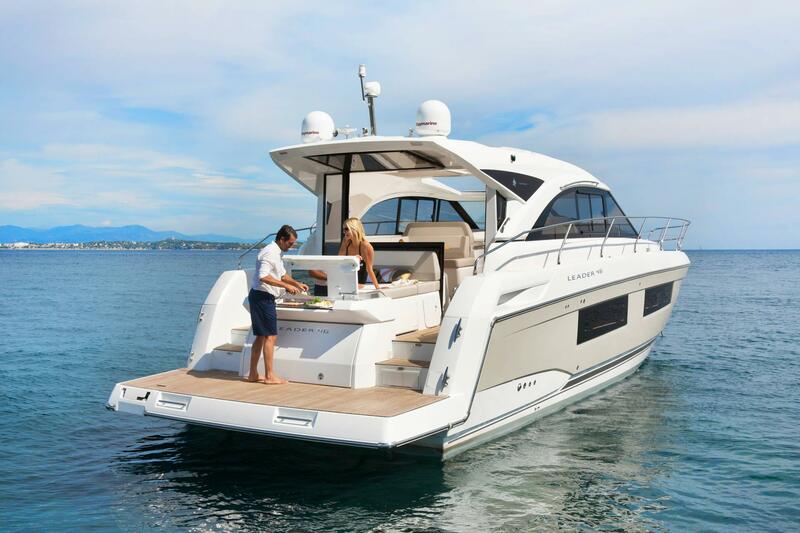 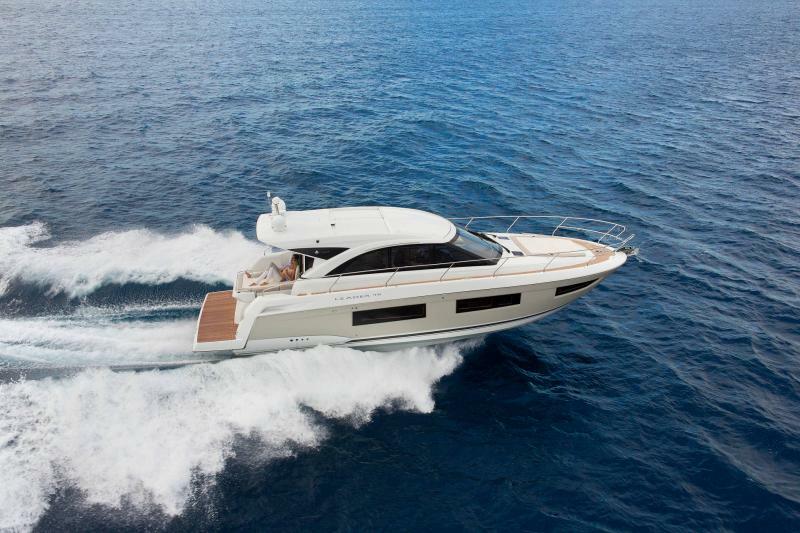 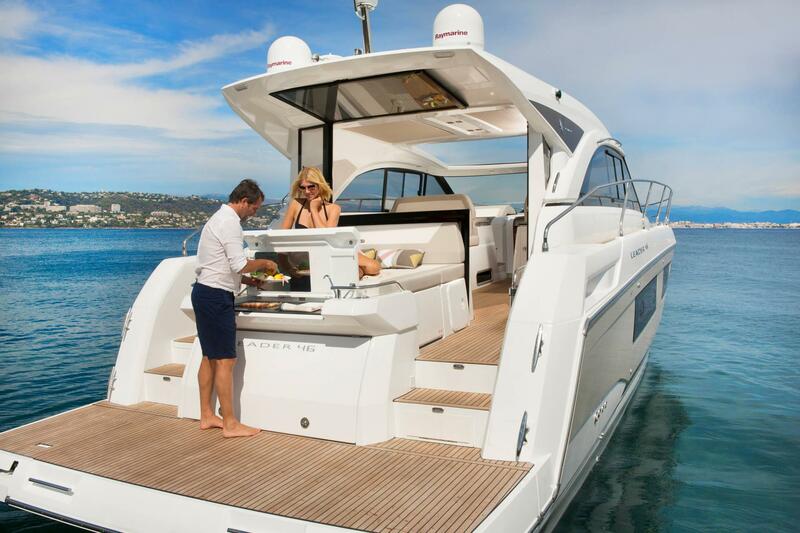 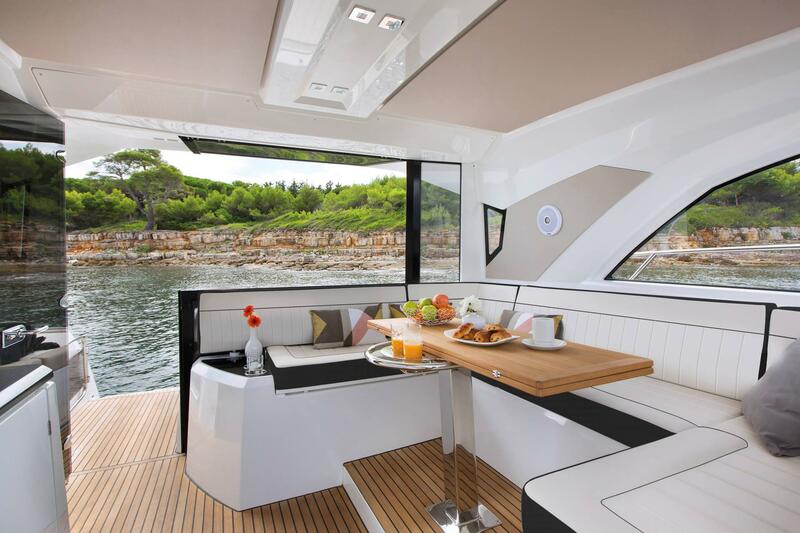 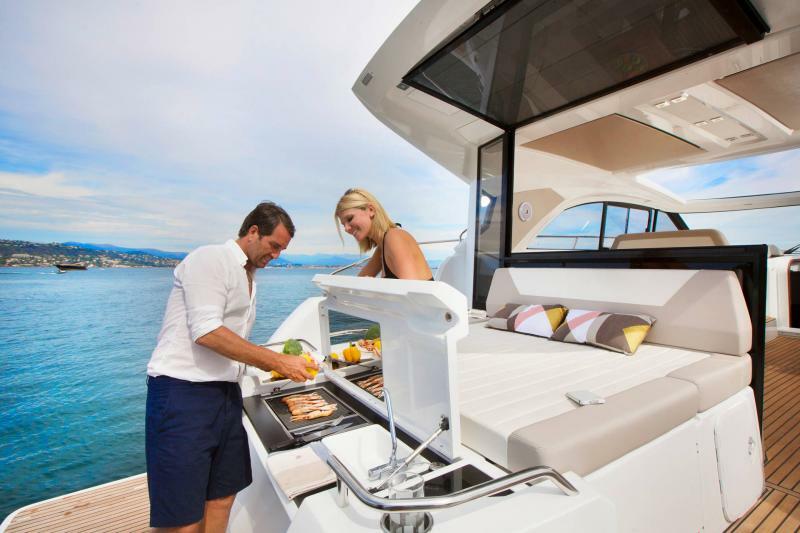 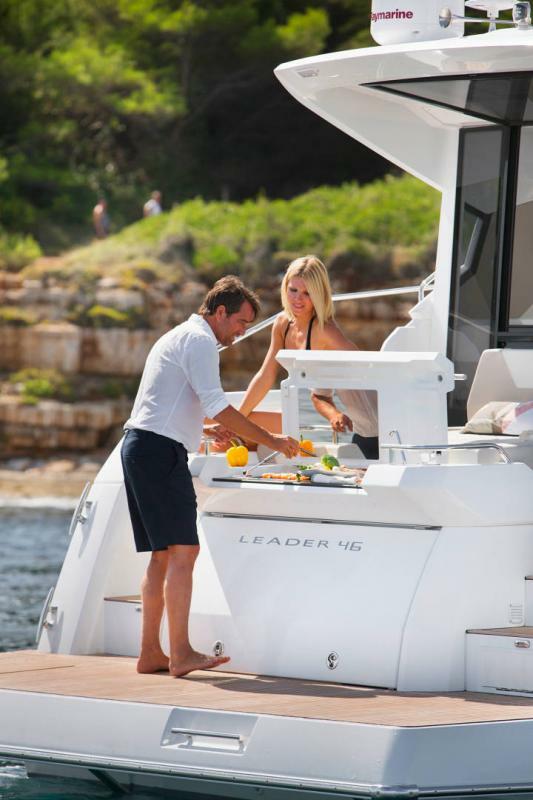 Luxuriously zen,the interior design of the LEADER 46 will seduce you with her contemporary spiritthat has been carefully studied down to the smallest details. 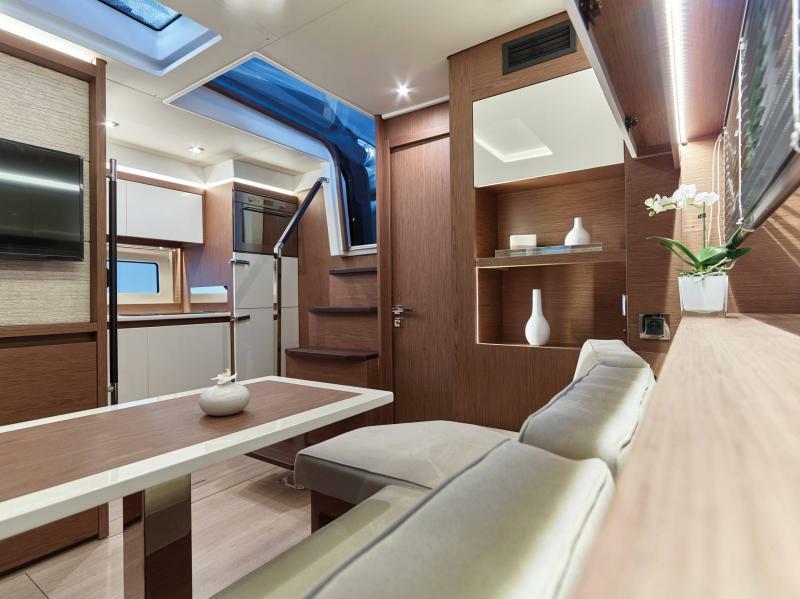 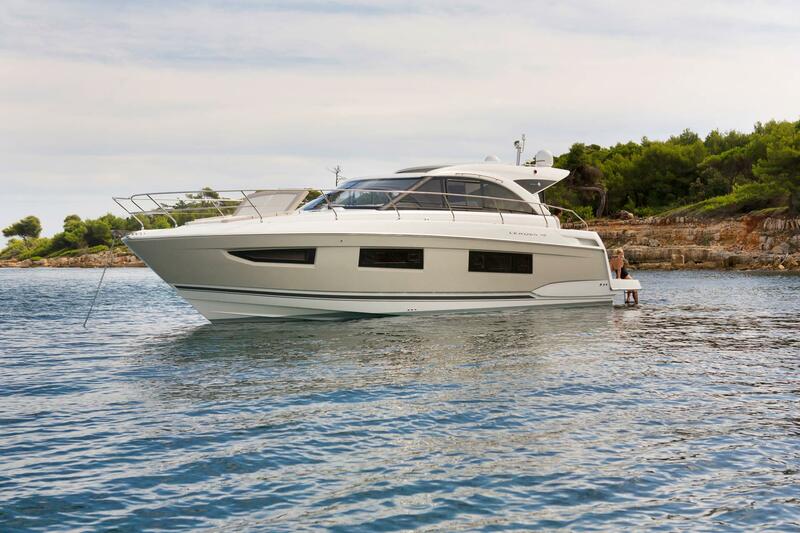 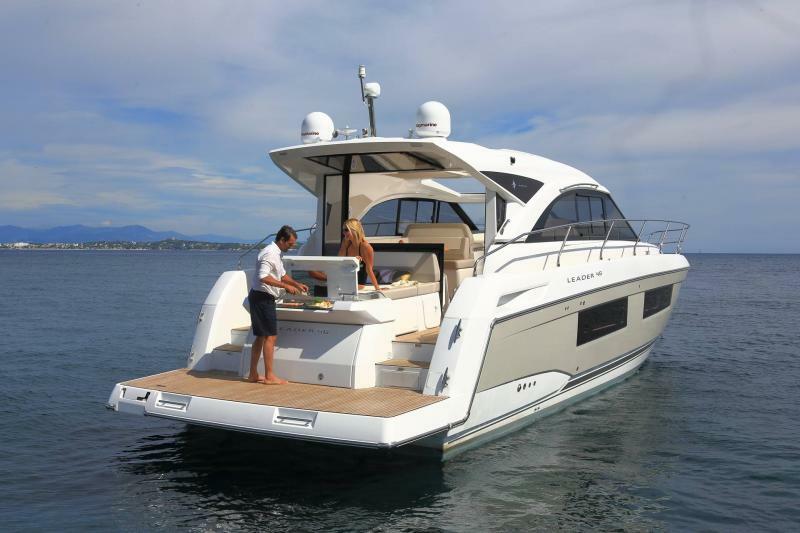 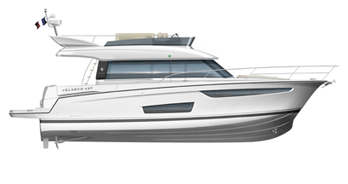 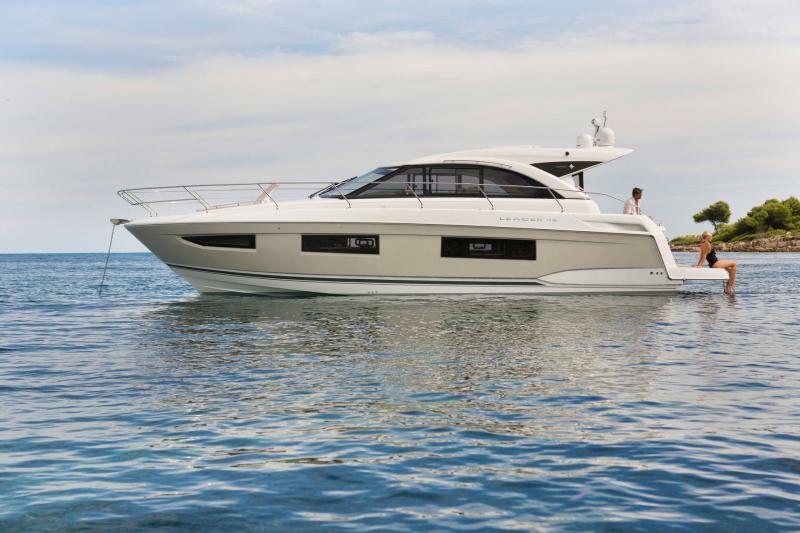 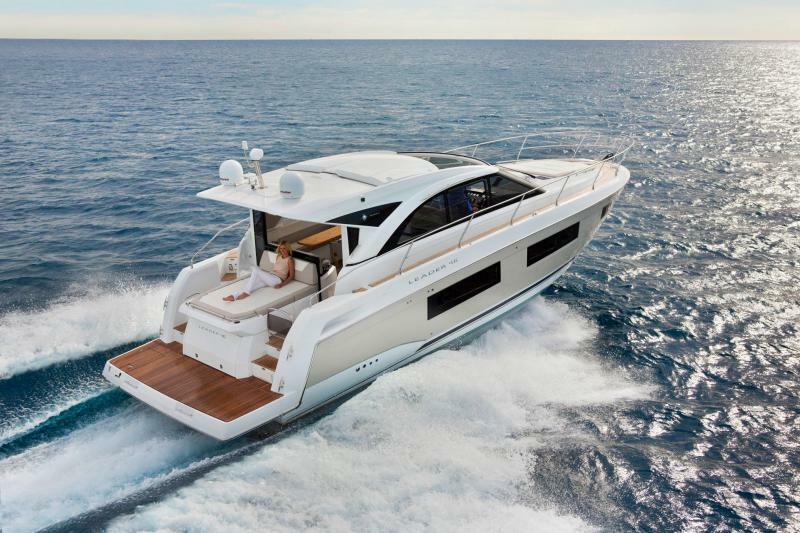 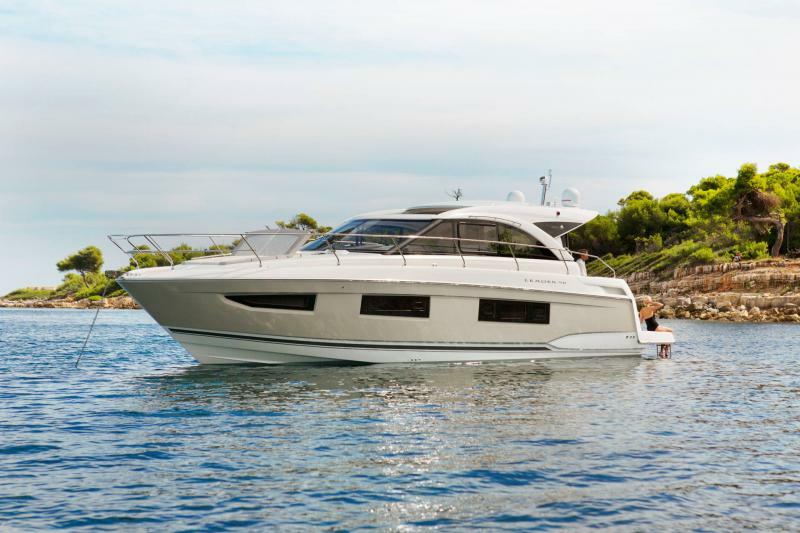 A true owner’s suiteisa pleasant surprise, with her superb central cabin and aking-size, modular head and shower compartment. 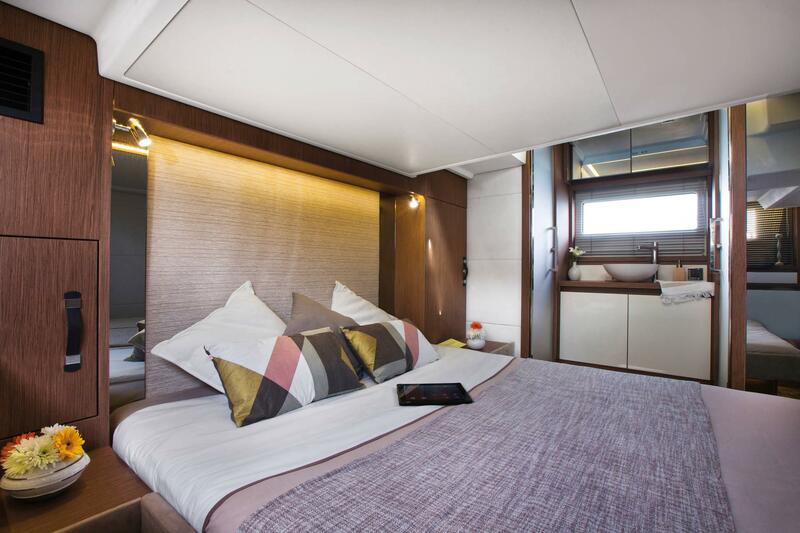 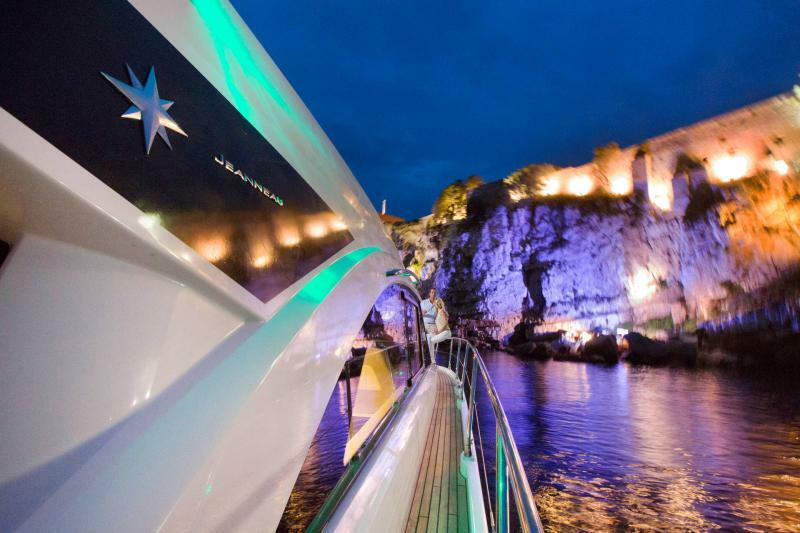 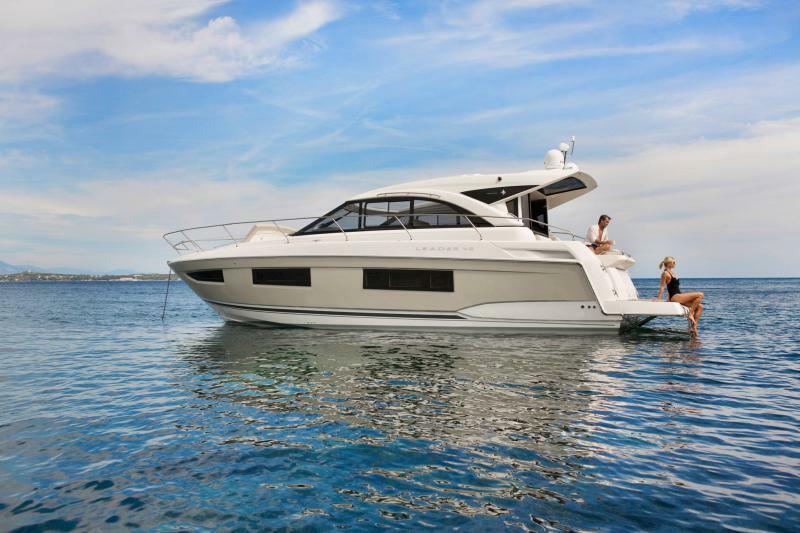 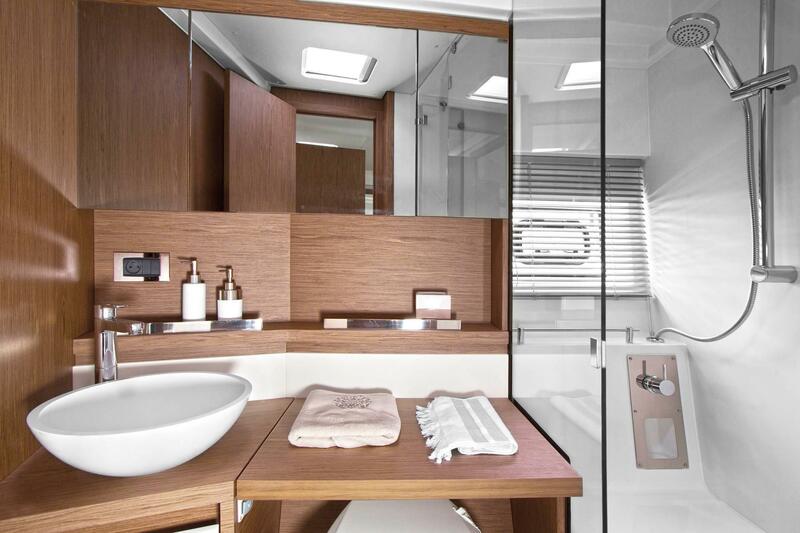 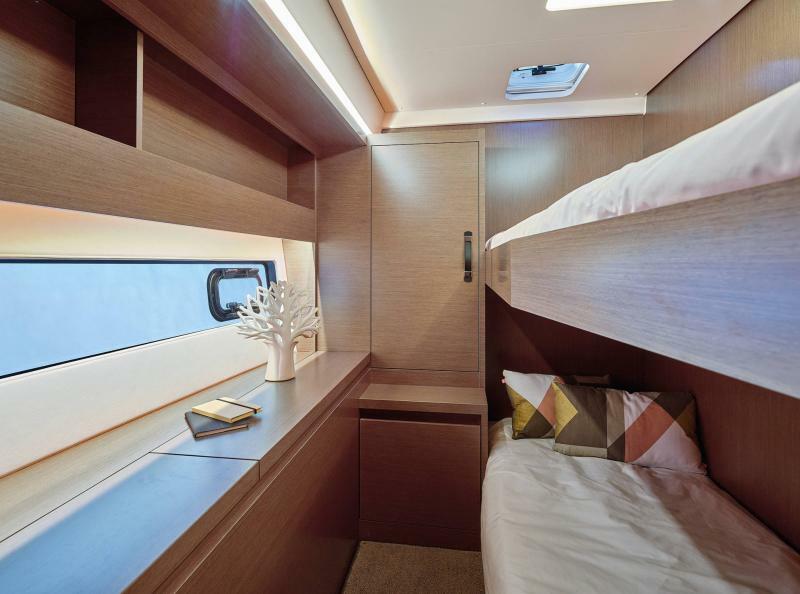 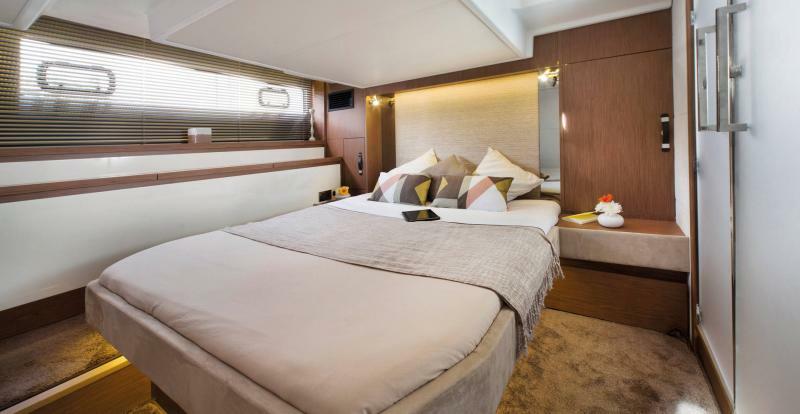 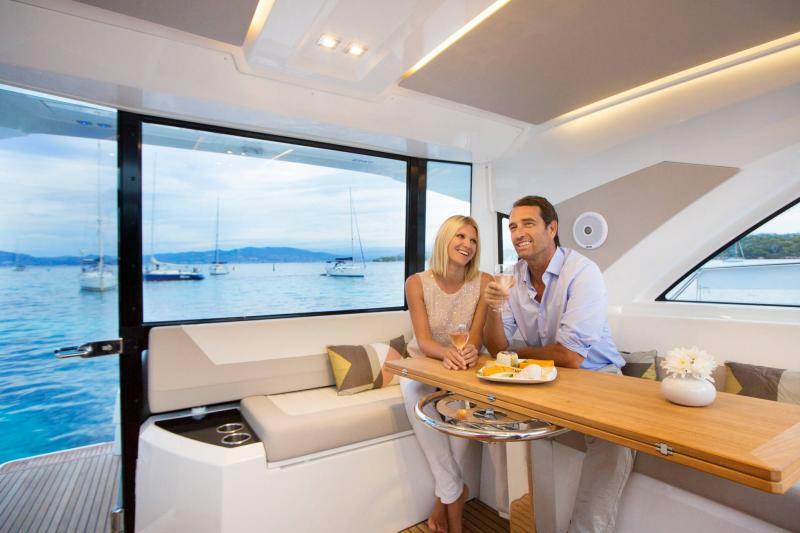 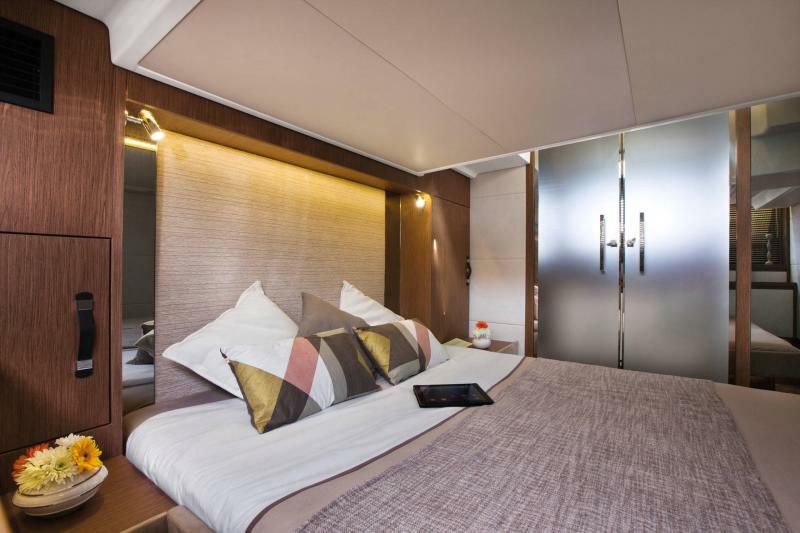 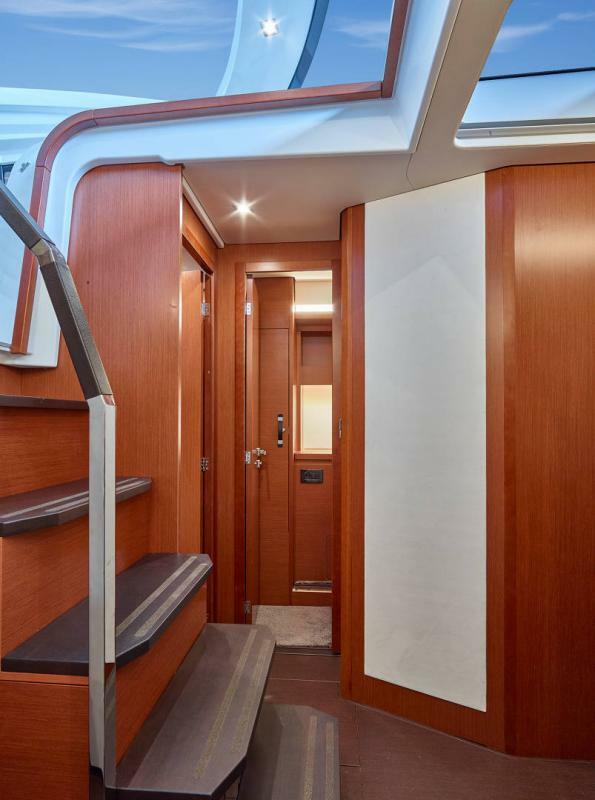 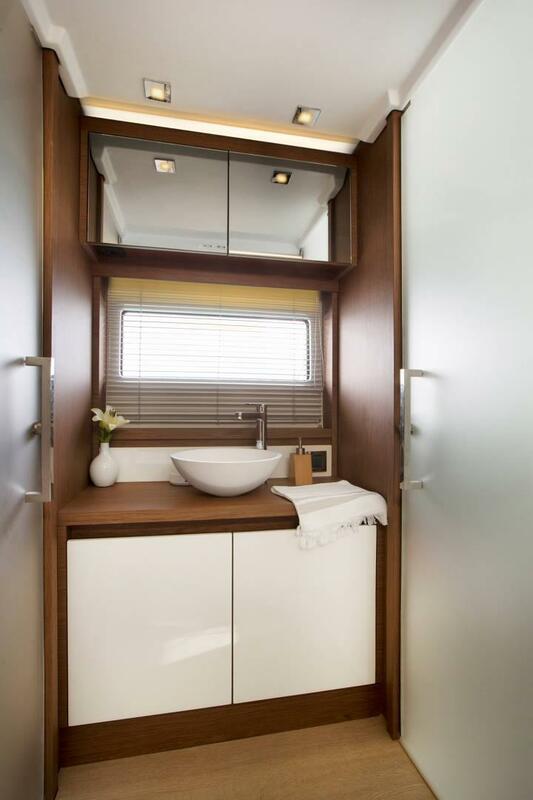 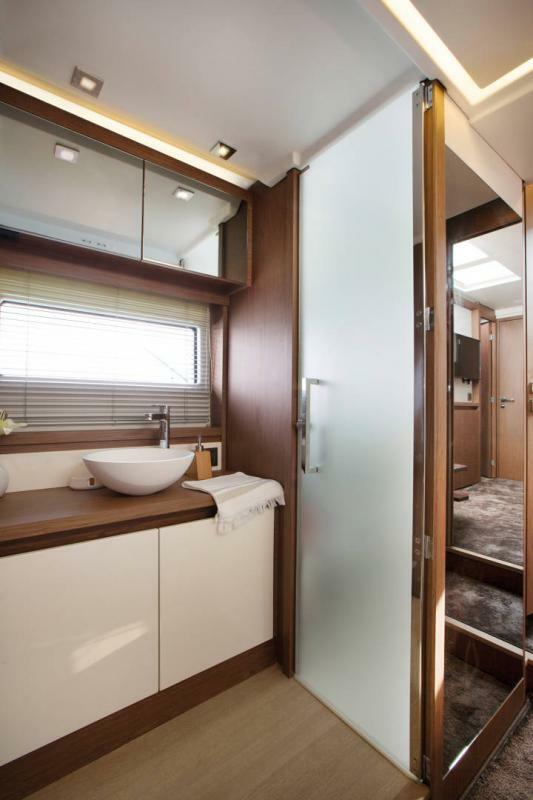 The guestcabin and private head and shower compartment offer the same luxurious details and overall comfort (berths may be separated, copious storage).